We begin in God’s Blessed Name. Peace and Blessings. He’s back. Vice President Frank Underwood, that is. 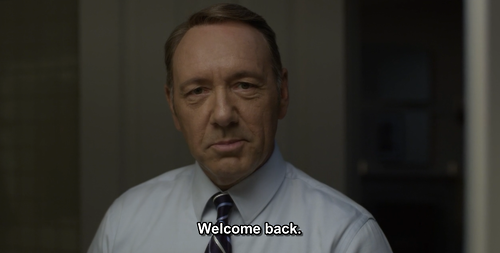 A whole new season of House of Cards has just been released last Friday. Coinciding ever so nicely with my term paper deadline, and assignments. But, how is one to resist the temptation? Especially after watching the first two episodes of the second season! For those who are watching, you know what I am talking about. 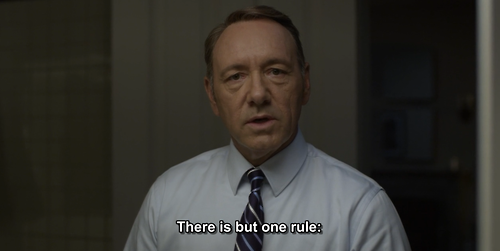 Frank Underwood has taught me alot, about the dirtiness of politics, power, and the feeble nature of human desire. I’m only a few episodes in, but I know that this will be one hell of a ride. 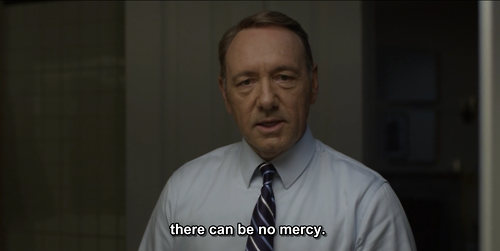 Frank Underwood exemplifies the person that you wish to be, but glad you’re not. 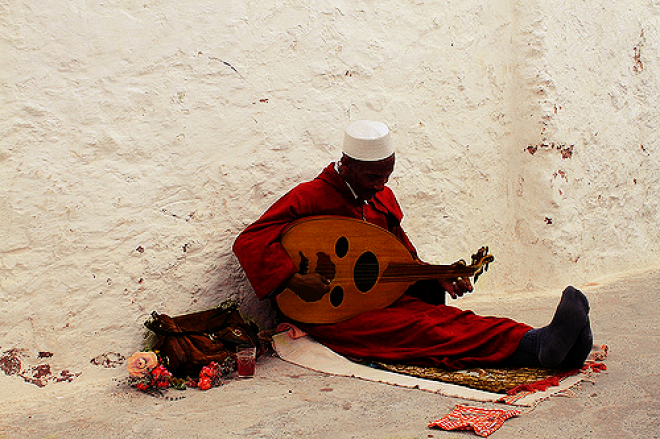 But, for what its worth, he is brilliant at what he does. And can already sense where he is going. This entry was posted in Politics and tagged Frank Underwood, House of Cards, Politics, Season 2. Bookmark the permalink.